Waterproof, smudge proof and dust resistant, Kajal Magique from LOreal Paris is really worth its price. And it is now available at the discounted price of Rs 225 at Nykaa. Enhance the beauty of your eyes with this all-purpose accessory, fit for any occasion. Delivery is free. 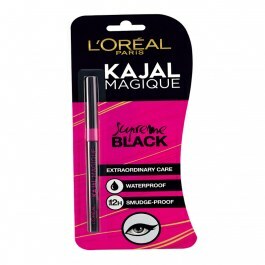 Get this Loreal Kajal at discounted price of Rs 225? 25% Off at Nykaa – Your Branded Make-Up Kit! Mehboob is content curator and deal analyst at dealstan.com.